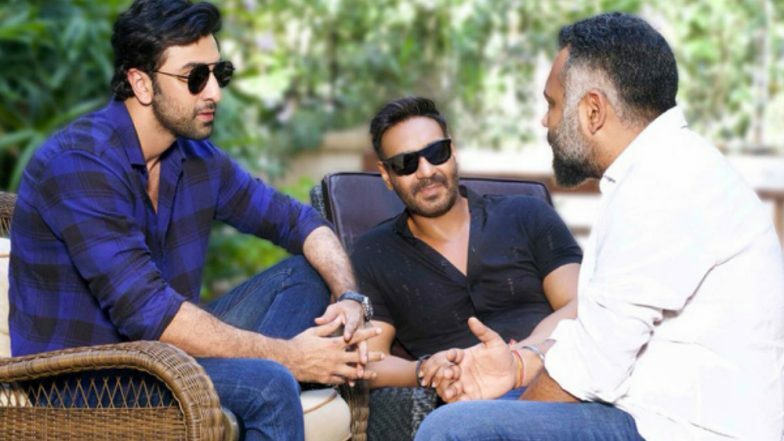 Ajay Devgn and Ranbir Kapoor coming together for a project was big news in itself. The duo was collaborating for Sonu Ke Titu Ki Sweety director fame Luv Ranjan and many believed if it will be a rom-com, like his previous outings. However, a recent report in Mumbai Mirror suggests that the movie is nowhere close to the above genre but is an action thriller instead. This would be the director's first attempt in this zone and he has been working hard for it, He's busy penning script since the last two years and he has only locked it down recently. #MeToo in Bollywood: Nushrat Bharucha Supports Director Luv Ranjan Against Sexual Harassment Allegations. Luv has been working on the script for almost two years now. The first draft of the script is locked, and the film will go on the floors by the year-end. It is mounted on a huge budget. Once the final draft of the script is locked, Luv will go on a recce. After that, he will finalise a stunt team that will be a mix of Indian and international action directors," said a source close to the tabloid. The movie will be partly shot in India and abroad. Not Akshay Kumar or Salman Khan But Ajay Devgn is the Busiest Actor in Bollywood With Seven Upcoming Releases. Coming to the actress, the makers are in talks with several A-list actresses and names like Deepika Padukone and Shraddha Kapoor were heard in the past. "The heroine has a strong character," revealed the source further. The makers are planning to start shooting this December and release it on Christmas 2020. While there were reports of the movie getting shelved after Luv's name was embroiled in the #MeToo controversy, seems like all is well on that front. Let's hope the further announcement about this comes very soon.